BLANCHESTER — Police were called to 321 S. Wright St. at around 6:30 p.m. on Sunday, Jan. 13 after neighbors reported hearing a woman screaming for help inside that residence, according to a news release from Blanchester Police Chief Scott Reinbolt. The responding officer asked for assistance from the Clinton County Sheriff’s Office, but there were no deputies available to assist, stated Reinbolt, so the officer requested assistance from the Warren County Sheriff’s Office, which sent a deputy to the residence. Shortly thereafter, the Clinton County Sheriff’s Office was able to send two deputies to the scene to assist. 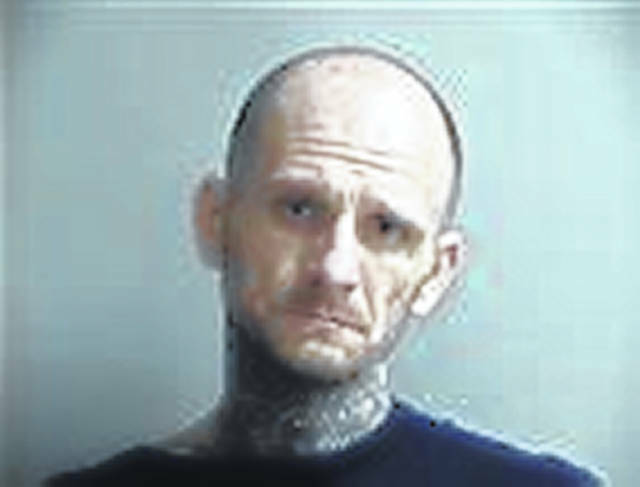 Hall, 35, was wanted on a felony arrest warrant held by the Clinton County Sheriff’s Office for fleeing and eluding, a felony arrest warrant held by the Ohio Adult Parole Authority, and a misdemeanor arrest warrant for receiving stolen property held by the Blanchester Police Department, said Reinbolt. He said the Blanchester officer and deputies were eventually able to convince Hall to reveal himself and he was placed under arrest on the outstanding warrants. “Unbelievably, while officers were attempting to get Hall to come out of the house, three teenagers stood nearby shining a flashlight on the officers and one of the teens responded with loud profanity when ordered by police to leave the area,” stated Reinbolt, who said that one of the teens was identified as a 15-year-old Wilmington resident. “A case has been referred to the Clinton County Prosecuting Attorney seeking charges of misconduct at an emergency against the youth,” Reinbolt said. Hall was transported to the Clinton County jail by a deputy. “He has a lengthy criminal record,” said Reinbolt. “Additional charges of criminal trespass and inducing panic were filed against Hall, charges he will answer in the Clinton County Municipal Court. “A military veteran who resides in the neighborhood offered his assistance to the Blanchester police officer while he was awaiting back-up,” added Reinbolt. “We are appreciative of that man’s concern and are grateful for the assistance provided by the Warren and Clinton County Sheriff’s Offices.